Well, 2014 is almost out the door and within the first few days of the new year, we already have something exciting to look forward to. We are talking about the annual Consumer Electronics Show, of course – the tech event where major players in various fields of consumer electronics gather to announce and showcase their newest products. Naturally, smartphones and tablets are a must-have part of the show's portfolio. We've heard that Samsung may be planning to announce its newest Galaxy S flagship at the 2015 CES. The fact that the company claimed to be redesigning the phone from scratch, looking to create a more premium-looking and desirable handset, combined with the rumors that there may be a Galaxy S6 Edge version with a screen curved on both ends, has definitely boosted the hype around the phone. We are also hearing a lot of conflicting rumors about the device's specs, so the speculations about two different S6 phones may prove to be true. Said rumors talk of screen sizes between 5.2” and 5.5”, 1080p or QHD resolution, Snapdragon 801 or 810 (we'd say we barely find the 801 to be a believable option for a Samsung 2015 flagship). HTC's One (M8) was released in March 2014, however, this year saw smartphones make yet another leap in hardware, so even though the One (M8) is still a 9 month-old handset, its innards are lacking just a bit when compared to the competition's QHD-equipped, brim-packed with RAM monsters. This makes the rumor about HTC planning to announce its new flagship, codename Hima (M9), at the 2015 CES all the more believable. While some tipsters claim that the company will unveil its new phone at another event, separate from CES and MWC, HTC did send out invitations for its CES panel that feature a picture of an unknown HTC smartphone, so who knows – maybe the latter rumors are skewed. The Hima is expected to have a QHD (1440 x 2560) display, 3 GB of RAM, and an octa-core Snapdragon 810 SoC, and to drop HTC's UltraPixel camera tech in favor of a 20.7 MP main camera, and an impressive 13 MP selfie snapper. Its 2,840 mAh battery doesn't sound impressive on paper, but seeing as HTC managed to squeeze some great on time from the One (M8)'s 2,600 mAh juicebox, we'd say the manufacturer definitely has the right idea on how to optimize battery life. We've also heard rumors about Hima Ace and Hima Ultra variants of the flagship, carrying toned-down hardware and MediaTek processors. Sony's peculiar 6-month upgrade cycle for its flagship devices dictates that the time to announce the next Xperia handsets and tablets is almost nigh. The company has already announced its press conference for CES 2015 and has posted a teaser video, which suggests that an ultra-thin smartphone (or tablet?) 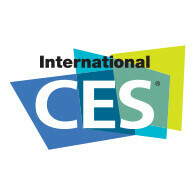 will be among the company's portfolio of devices on-stage. Leaked renders and information about the new smartphone suggest a much better screen-to-body ratio than what we've seen with the Z3. Rumors about the Z4 flagship specs point to a 5.2" screen with a QHD (1440 x 2560) resolution and a Snapdragon 805 SoC, coupled with 3 GB of RAM. 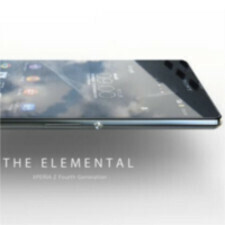 A Z4 Compact variant, with a 4.7", 1080p screen, and a Z4 Ultra phablet with a 6.44" QHD display are also rumored. 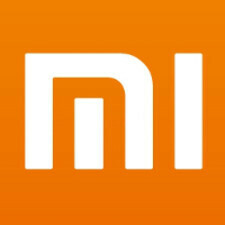 Xiaomi has definitely sparked interest at a global level this past year and the company's CEO is not shy about sharing his ambitions to push the company to the top of the smartphone manufacturer list. With such appetite for success, it is only natural that the company would decide to showcase its newest flagship – the Mi 5 (or Mi 4s) – at 2015's CES. The Mi 5 will undoubtedly be a head-turner. Leaked pictures show the phone to have razor-thin bezels and impressive screen-to-body ratios, while rumors talk of a 5.7", 1440 x 2560 screen, sapphire glass, a 64-bit octa-core Snapdragon 810 SoC, a 20.7 Sony Exmor snapper, and an unbelievable price tag of $325. Needless to say, we are quite anxious to find out how much of this is true. The self-healing, freely bending G Flex is making a return, or at least that's what leaksters say. The new device has been rumored to tote the name LG G Flex Frame, though it could easily just end up being called the G Flex 2. Hardware specs are yet unclear, however, whispers do say that it will have a smaller screen and a better resolution. Let us remind you that the G Flex definitely lacked in the PPI department, as it sported a 720p resolution on a 6" screen – all due to technological constraints, LG said. Well, it has been more than a year from the original G Flex's announcement, so here's hoping that the engineers at LG took their sweet time in order to overcome said obstacles and have come up with something breath-taking. Saygus is a US-based company that many may have not heard about. Its last attempt at releasing a smartphone – the Vphone – was way back in 2010 and it was abruptly canceled in the last minute. Now, while some may believe that Saygus went down under for good, the company actually surprised us with a "super smartphone", brim-packed with features, which has already won the CES 2015 Innovation Award and will, undoubtedly, make an appearance at the show. The device is called V-Squared and Saygus boasts about it being dual-boot capable, though, we still don't have much information on what exactly the company means by that – does the V-Squared support Windows Phone, for example? As far as hardware goes, it's equipped with a 2.5 GHz Snapdragon SoC, 3 GB of RAM, 5-inch 1080p screen, 64 GB of internal memory, a 3,100 mAh battery, and all of this is enclosed in a fully waterproof (according to Saygus, IP unknown) case. The phone is equipped with dual front-firing speakers, powered by Harman Kardon Sound Technology, a fingerprint sensor, and has two microSD card slots for up to 256 GB additional storage. 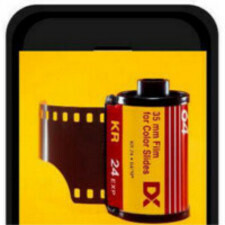 It may be strange, but camera maker Kodak has partnered with mobile phone ODM Bullit and the duo plans to release two smartphones, a tablet, and a connected camera. According to the manufacturers, the Android-laden devices are to bring "best-in-class image management software and features, along with great design and user experience". One of the handsets will be announced at CES 2015 and we are very curious to see what the two companies have come up with. 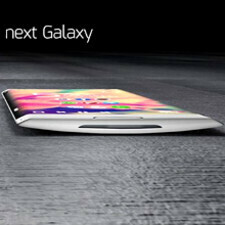 Will it be a Galaxy K Zoom-like device, or sport a more discrete look like theLumia 830? We'll see. 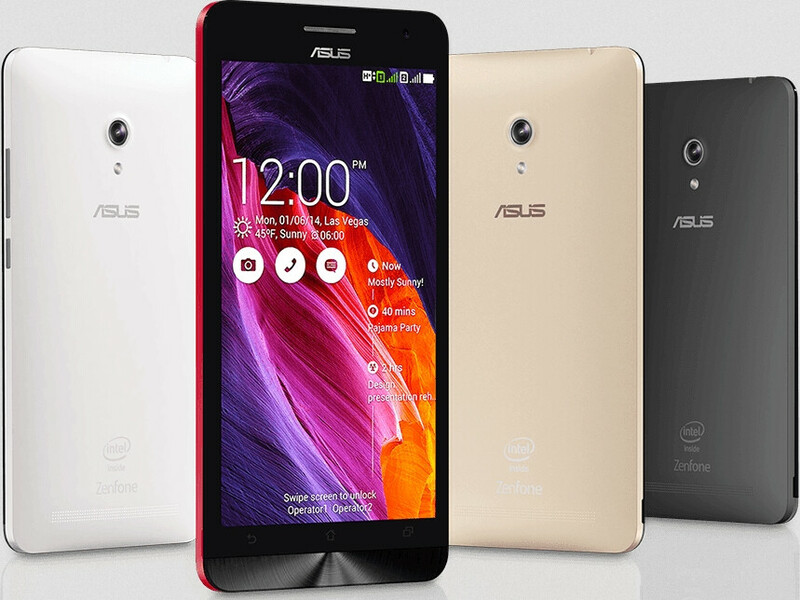 Asus has also announced its press event at CES 2015, where it is expected to unveil its new generation of ZenFone devices. Not much is known about the new handsets – CEO Jerry Shen has said that all the new models that will be at the CES show will be equipped with Intel processors, however, it has also been rumored that the company has ZenFone variants that sport SoCs from another manufacturer in the pipeline and scheduled for a January release in China, and in "global markets" some time afterwards. We haven't heard much on specs, though, we do know that Asus is reportedly planning to launch a 5.5" ZenFone to add to its line of 4", 5", and 6" handsets. Z4 All the way ! Dont be, just choose M9 FTW! You wont be regret again. Looking forward as usual. My BFF, and I will be in the house. Vegas baby!!! I'm more interested in the Vizio R-Series TV this time around...hope they have a release date for it. Well actually choice of normal size android prime phones is not that big. Galaxy S6 - good probably but it will have touchwiz LG G4 will go to phablet zone probably Oneplus - hard to get Motorola turbo - Even harder to get So there are left M9 and Z4. Am I the only one that thinks the "S6" front panel just looks like a cheap aftermarket screen/digitizer for an S5? Lolipop + Z4 = awesome!!! oh and Htc Hima is sweet too! Agree. The S6 just like the other Samsungs- plasticy, cheap and plain ugly. The only Samsung that looks decent is the Alpha. Xperias and HTC have got the best design. And OPPO as well. My eyes are OVER THE HORIZON! Well I am an LG guy. Well almost. It just depends on if LG takes the flex 2 and loses one of it's main features. The display size. I love the 6 inch display. As will as the curved design. Now the self healing back does not matter to me. I always have a case on to protect it. So if lg tajes that feature away I will leave LG. And find another carrier. Just like I did wirh samsung over the note 2.